September is when you start to find some juicy figs. These easy tartines show them off perfectly. Wine Suggestion: A young, fruity Pinot Noir often springs to mind when pairing with figs, but bringing in the Gorgonzola made us swing to a white variant of this grape: Pinot Gris. Our choice was from Forrest Estate in Marlborough, New Zealand and it was fresh and full of joyous fruit to match the mood of this dish. Toast the sourdough and spread each slice with a little of the honey and sprinkle with some thyme leaves. Lay a slice of gorgonzola on each and squash down a bit with knife so it reaches the edges of the toast. Put the tartines under a hot grill for a few minutes until the cheese just starts to melt. Arrange the fig slices on top, sprinkle with a little salt, some black pepper and more thyme, then grill again for a couple of minutes and drizzle with some more honey before serving. 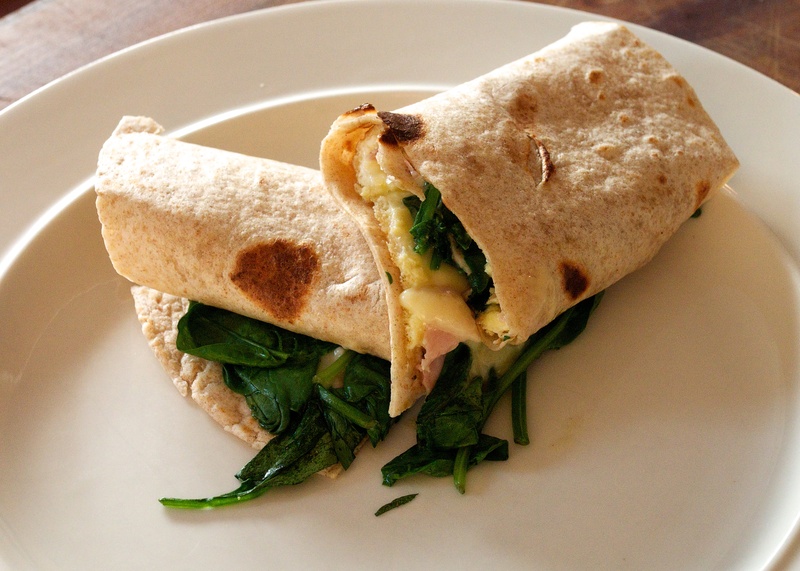 This dish makes a really tasty lunch and is a great use for leftover chapatis. Kids will like them too! Heat a little of the oil in a non-stick 20cm frying pan. Add a quarter of the scallions and cook gently for a few minutes. Add ¼ tsp of the garam masala and cook for about 30 seconds. Add a quarter of the beaten egg and tip the pan to cover the base – cook for 1 minute until the base is golden. Sprinkle over a quarter of the cheese, ham and spinach, cover with a lid and cook for another minute or until the spinach is just wilted and the cheese melted. Meanwhile, heat a chapati in the microwave for 30 seconds or in a dry frying pan. Tip the omelette out on top of the warm chapati and roll up. Repeat with the rest of the ingredients to make 3 more wraps. This is not a recipe – more an idea for something to throw together when you need a snack… like after you’ve had a few pints in the pub or a long day at work in our case (unfortunately). 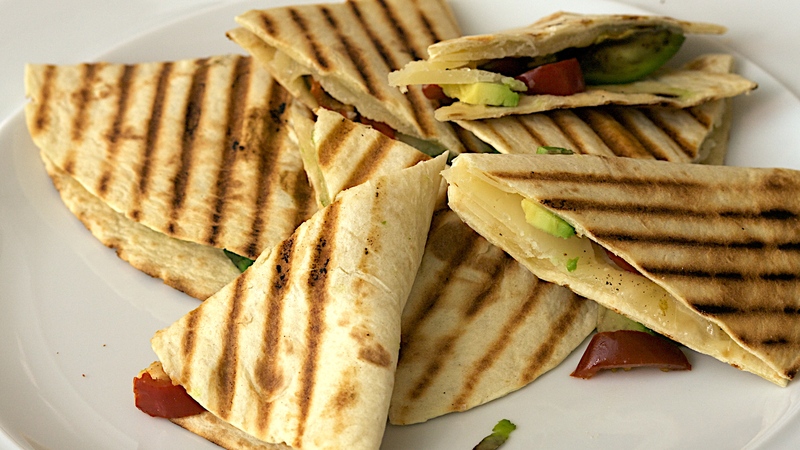 It’s a bit of an odd combination but scatter some thin slices of Manchego cheese, a few chunks of avocado, and a few sliced jalapenos from a jar over one half of a soft tortilla. Fold the other half over and griddle (or fry) for 1 minute on each side (pushing down hard so you get nice griddle marks and the cheese melts). Et voila – bit like a posh toastie!